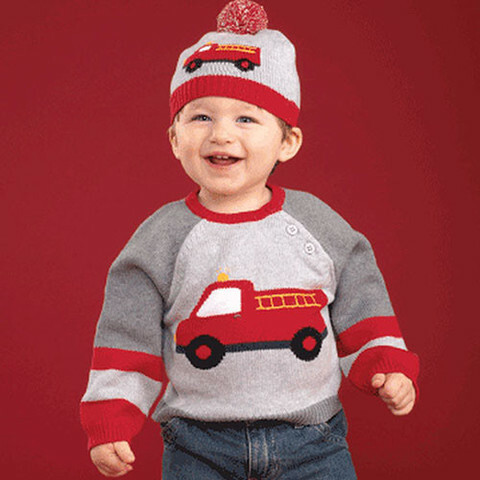 Adorable gray and red fire truck intarsia sweater in 100 percent cotton sweater knit. Machine wash. Imported. Makes a great gift! Hat not available. Price is for sweater only.